but, as her stock rises, I feel it is worth mentioning her again. In fact, right now, she will be in America and it getting ready for this year’s Grammys. She is nominated Best New Artist category and many are predicting her to walk away with the prize. This year’s ceremony has already had its share of issues and controversy. A number of key artists are rumoured not to be playing – Kendrick Lamar is among them. There is no reason given why that is the case but, in a year when diversity is coming to the fore, it is disappointing to hear. Ariana Grande has been in the press and it is rumoured she was not allowed to perform the song she wanted - the organised have given a different reason and said she is the one to blame. There is always a lot of talk around every Grammys show and this year is no exception. At least this year is making more space for females and black artists. There is not total equality but there are more women being nominated for big awards. I hope there are female winners tonight and we see this change come in permanently. Many have called for the Grammys to be more equal and varied. 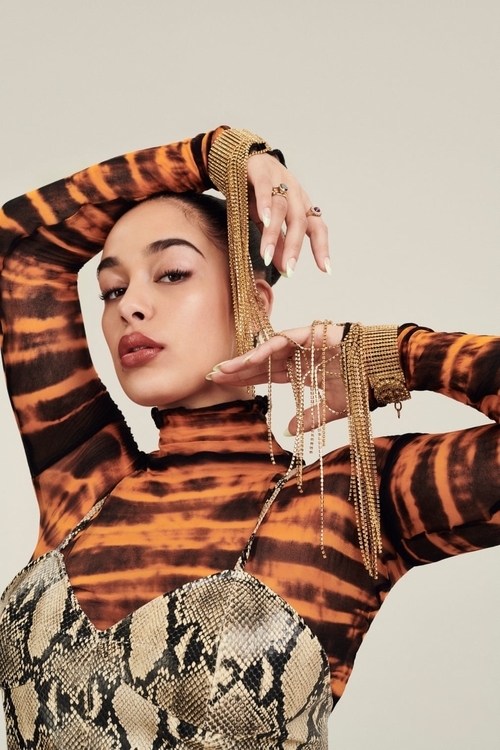 Among the nominations this year is Jorja Smith for the new artist slot. Dua Lipa is another British female artist who could win the award but there is tough competition from Bebe Rexha and Luke Combs. Many are predicting Greta Van Fleet to win (God help us!) but I think Smith should win the award. It is a shame Smith only gets the odd nod because her debut album, Lost & Found, is terrific. There has been endless comparisons to Amy Winehouse – a similar smokiness and vocal power – but Smith is her own artists and writes in a very different way. It is great to see how far Smith has come in the past year or so and many would not have expected her to develop so fast. Lost & Found gained impressive reviews but the success is warranted. The Midlands-born artist moved to London in 2015 and she began honing in her music aspirations when there. She released the incredible single, Blue Lights, on SoundCloud and, with its Dizzee Rascal/Sirens inspiration, it became a big hit. A lot of big names and tastemakers were attracted to the song and could detect this very rare and promising voice. Smith was put on Drake’s playlist, More Life, in 2017 and that followed Smith’s debut E.P., Project 11 in 2016. It is amazing to think Smith, who has worked and recorded in the U.S., was a barista in Starbucks only a few years ago. She lived in London and, although she had the music world around her and so many opportunities, she felt lost. She was lost but, in many ways, she had found her niche and home – hence the name of her debut album. “Any artist of note will tell you they’re influenced by all kinds of different musical genres, and Jorja Smith is no exception. On ‘Lost & Found’, the hook on ‘Teenage Fantasy’ is straight out of an early ‘00s R&B cut. Jazz exerts a force right from the album’s title track (and indeed throughout) and, needless to say, Dizzee Rascal interpolation ‘Blue Lights’ nods to her affinity with rap, a discipline in which she regrettably dabbles on freestyle ‘Lifeboats’. The moments at which Smith manages to distill any of these genres into something entirely her own are truly special. It’s the first full length album from a young creative brimming with ideas and promise. While ‘Lost & Found’ doesn’t feel like Jorja Smith’s magnum opus, it’s a brilliant first draft”. “Her debut is skilfully arranged so that most music fans will be able to unearth some element that they can relate to. Smith’s debut may cast the net wide, but she is an artist with ambition, who doesn’t want to be limited to one specific market. A multifaceted performer, her music reflects her personality. Sometimes it is easy to forget that Lost & Found is Smith’s first LP. The sureness and creativity that exudes from each and every song disguises what some would call a lack of experience. But isn’t this when artists are at their most exciting? Stepping out into the unknown, crafting a sound and energy that is sincerely theirs. As Smith says herself as the final notes of “February 3rd” dissipate, “I’ve been lost, I’ve been lost again, and I’ve been found / Then I found myself… but I’m constantly finding myself”. The album is tremendous and it was nominated for a Mercury last year. It faced stiff competition from Nadine Shah and the winners, Wolf Alice, but not many artists get such a buzz from their debut album. The stock of Jorja Smith is rising and here is someone who is very planted and level-headed but has this extraordinary ability and sound. A lot of new artists are noted because of their voice or lyrics but Smith ticks all the boxes. “Such attention could, and should, be head-spinning. There is a moment, when we are bombing down the A4, where she pops a brace into her mouth and it’s genuinely shocking to realise – to be reminded really – that’s she’s only 21. Three years ago she was sitting her A-levels. When Drake was heaping praise on her, she’d not long given up a job as a barista in Starbucks. She starts our conversation warily, but quickly warms up. There’s a preternatural assurance here, one that explains how a young woman from the West Midlands, growing up with no connections in the industry, finds herself in LA tonight waiting to find out if she’s won another life-changing award”. Given the success of Lost & Found and the award nominations that have come Smith’s way, many would expect her to be snapped by a big label and have them guide her career. Smith’s rationalisation is simple and impressive: she does not like being told what to do. “Smith’s success is all the more astonishing for the detail that she isn’t backed by a major label. There’s a simple reason for that: she doesn’t much like being told what to do. That clear-headedness could be seen at the Observer’s photo shoot. “If I don’t like something, I won’t wear it,” says Smith, who has now changed into her travelling outfit of a Mondrian-ish Nike tracksuit, with her hair scraped back into a tight bun. She giggles: “I have a lot of control, yeah. I like the fact Smith is forging her own path and she is not selling out quickly. A label would probably push her in a more Pop direction or get her to do all sorts of photoshoots. Maybe there would be more money and gigs (with a label) but Smith’s talent is doing the pulling and she can call the shots. She is looking ahead to her second album but there are tours and, I am sure, festival appearances. It will be a busy year where all the nominations and praise translates into gigs and a busy diary. She has not felt the need for a major label to do her bidding and who can blame her: she has already managed to achieve so much and it looks like all the attention is not going to fade away anytime soon! “All this, plus Smith became the first unsigned artist to win the Critics’ Choice Award at the 2018 Brit Awards, released the most talked-about debut album this side of the Atlantic (Lost & Found charted at No3 in June and was nominated for the Mercury Prize in July) and is now GQ’s Vero Breakthrough Solo Artist Of The Year. “It’s mad,” she says of the award, “but I’m very happy to be recognised for what I’m doing.” Smith’s sound incorporates left-field soul, jazz, R&B and hip hop, with the odd powerhouse ballad thrown in for good measure. Think Amy Winehouse meets Lauryn Hill. Where “Blue Lights” samples Dizzee Rascal, the classically trained singer has also borrowed from the likes of Henry Purcell”. BRITISH artists of the moment. FEATURE: A New Master with a Masterplan: What Next for HMV?